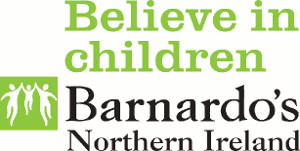 Two young people, along with their Team Leader from Barnardo’s Disabled Children and Young People’s Participation Project will be delivering a workshop at the next Eurochild Conference ‘‘Building a better Europe with children: All aboard!’’ 29-31 October, Opatija, Croatia. The Eurochild Conference in Opatija will be hosted by Society “Our Children” Opatija, and will bring positive examples of how public decision-makers at local, national and European levels are respecting the right of children to participate in decisions affecting them. The Eurochild conference will bring together practitioners, researchers, civil society actors, policy and decision makers along with children and young people themselves to contribute to improving children’s participation in public decision making. For more information download attached Conference background paper below. This entry was posted in Children and young people with disabilities regional Sub Group images, News and tagged Children and young people with disabilities Regional Sub Group, news/events by Michael. Bookmark the permalink.